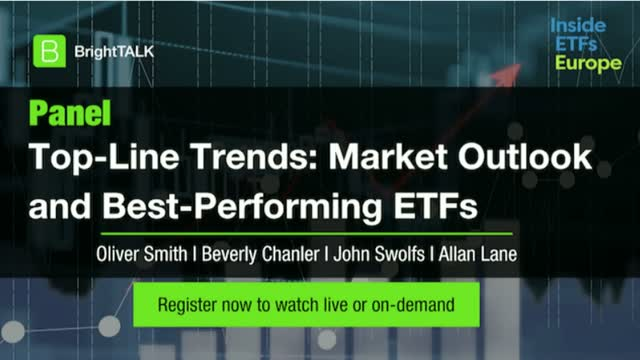 Join this live panel discussion with experts at Inside ETFs Europe for up-to-date trends on what's disrupting the market and how to take your business to the next level. - What is does the next 3, 6 months hold for the market, and for ETFs specifically? - What new ETFs are coming on to the market? - Which ETF are performing best now?